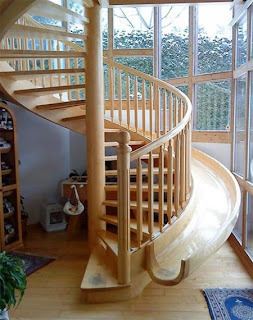 When I was a child, I developed a love for creative staircases. I always wanted to have a spiral staircase on the outside of my house that leads to the roof. I think it would be so much fun to go up onto the roof to sunbathe, BBQ or people watch. This staircase from London-based Levitate Architects comes even more fascinating than what we’ve seen earlier. 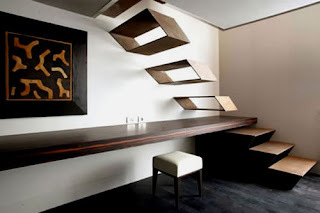 So you want something that will help you get organized similar to the Storage In Stairs, but you find yourself too squashed by your massive book collection to move around your house. 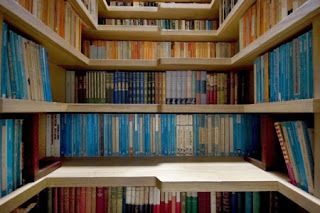 The Spacesaver Staircase Library merges the two issues, creating one solution. Stylish modern stairs and creative staircase designs from all over the world.